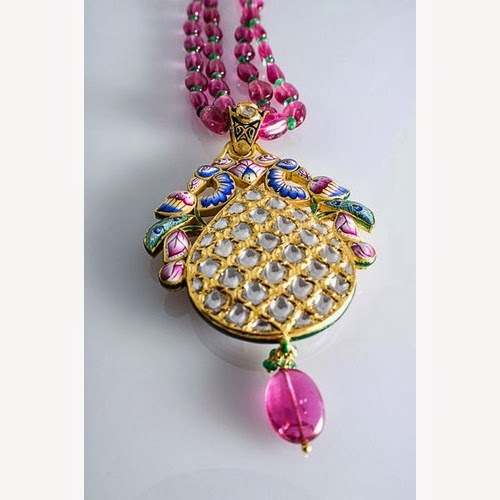 Exceptional Pink Enamel & Diamond Polki pendant set by Suranas Jewelove. 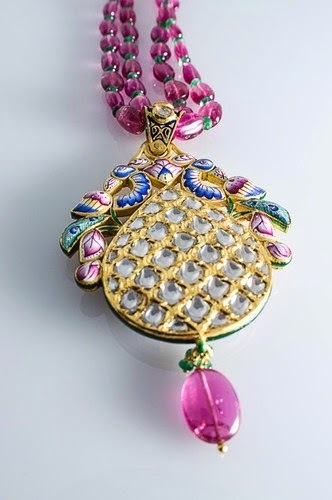 Crafted in Gold, studded with uncut Diamonds, strung in gorgeous Pink Tourmaline, hand-enamelled with Pink, Blue & Green colors. Crafted for You. by Suranas Jewelove.